We have a little Halloween poem for you to share tonight on this All Hallows Eve! 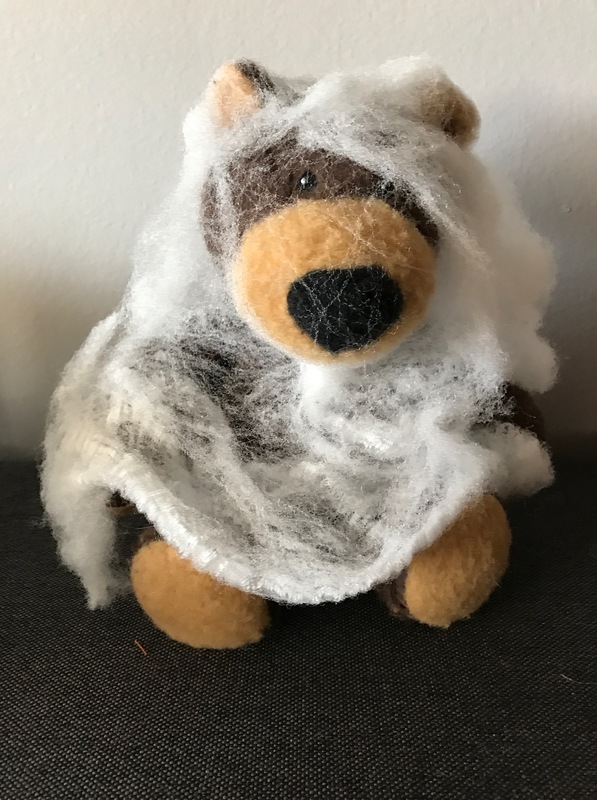 the ghost bear hugger keeps you in his sight. He looks for campers to hug with all his might. He’s ghost bear hugger of the Salamander woods. the ghost bear hugger doesn’t want to be seen. He sneaks up behind you, but he’s not mean. He’s the ghost bear hugger of the Salamander woods. the ghost bear hugger won’t start a riot. There’s no need be scared humans aren’t part of his diet. the ghost bear hugger floats off the ground. He just likes to hug the people he’s found. the ghost bear hugger really wants you stay . He liked you sing and dance and play. When there is no one to hug, he lets out a great loud bellow. no need to be full of a terrible fright. by the ghost bear hugger of the Salamander woods.